Welcome to La Casa Lighthouse. 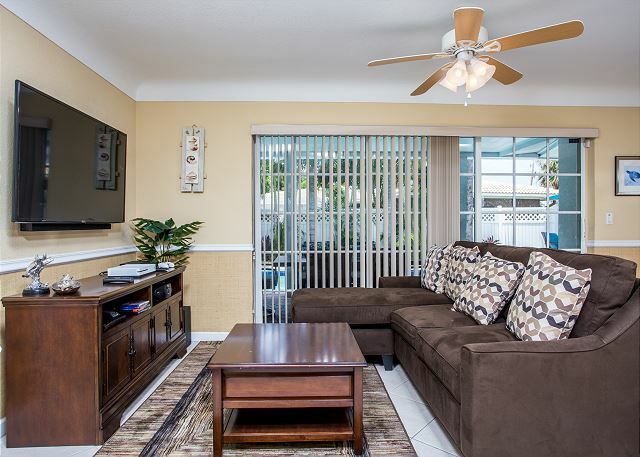 This beautifully decorated vacation home is perfect for families! 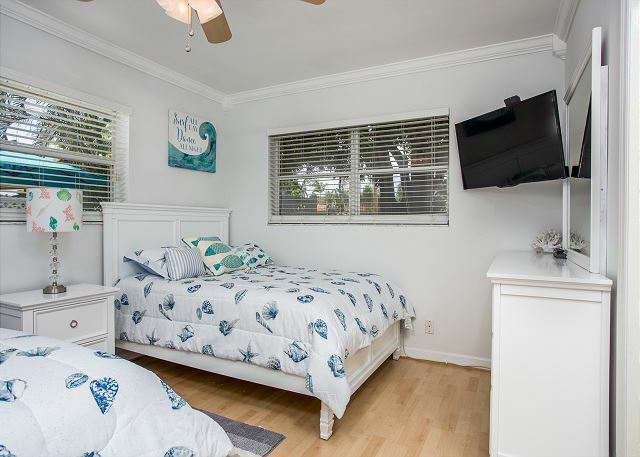 Located in a quiet neighborhood in Lighthouse Point, this 3 bedroom, 2 bathroom vacation rental is located near the beautiful beaches of Lighthouse Point and Deerfield Beach. 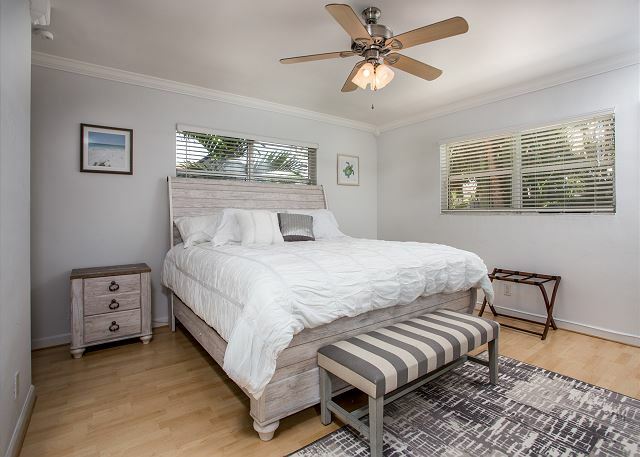 This single family home boasts all the tropical pleasures Lighthouse Point has to offer with a circular driveway that accommodates up to 4 cars and is surrounded by palms and lush tropical foliage. As you enter the home, you are greeted with open living space in a contemporary design with a big screen TV in the living area and comfortable leather furniture. The dining area boasts a high top wooden table with seating up to 6. The chef’s kitchen features granite counter tops and stainless appliances. 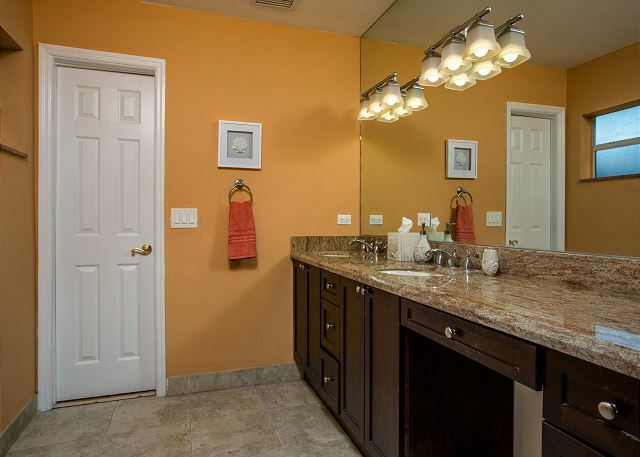 It is strategically designed with plenty of cabinet and counter space so you can cook up some of your favorite South Florida cuisine for your family and friends. The bedrooms are decorated in a light motif with the finest linens and furnishings to assure a good nights rest. The master bedroom has a king sized bed with a bathroom en-suite. The second bedrooms has a queen sized bed. 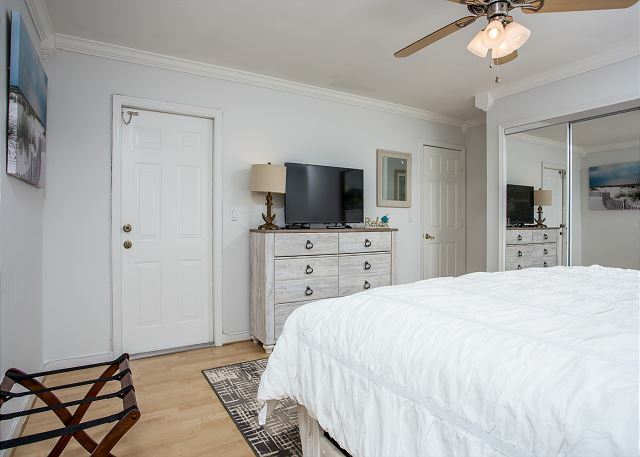 The third bedroom has 2 full sized beds. All the bedrooms has a flat screen TV. The guest bathrooms has a full sized tub. 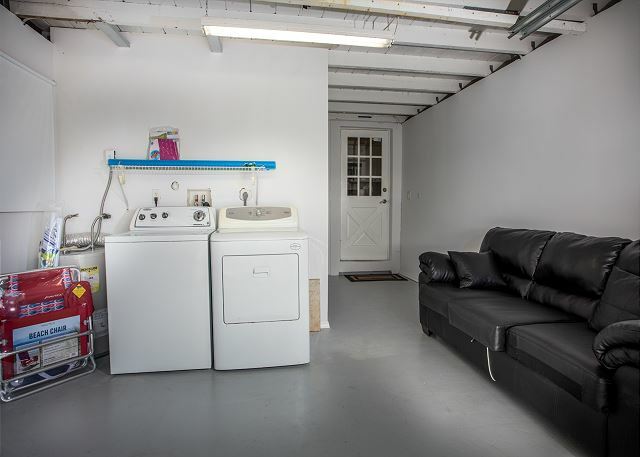 A laundry area is situated in the garage with a full sized washer and dryer. The main attraction of this wonderful home is the private fenced in backyard full of tropical foliage and Florida sunshine. 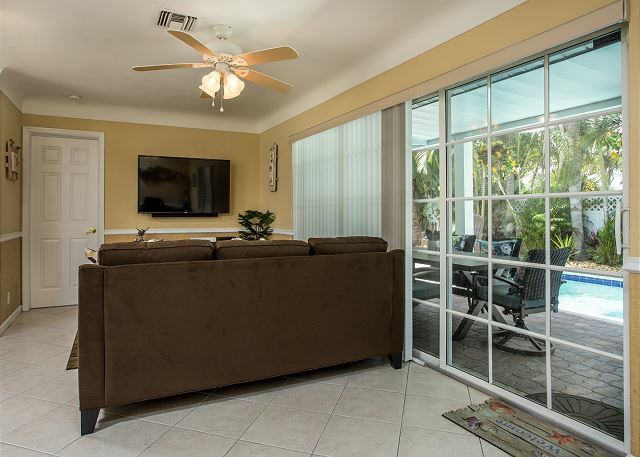 As you step out onto the covered veranda, you are welcomed with an outdoor seating area where you can BBQ some of your favorite meals in the tropical Florida sunshine and sit at the nice table and chairs that accommodates 6 guests. 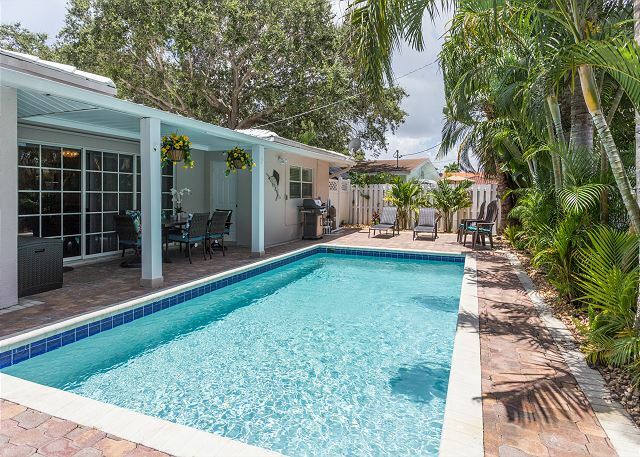 The large heated swimming pool is refreshing and enjoyable after a long day enjoying all that South Florida has to offer. The spacious patio deck around the pool has lounges chairs, table and chairs and plenty of space for entertaining. Come stay at La Casa Lighthouse! 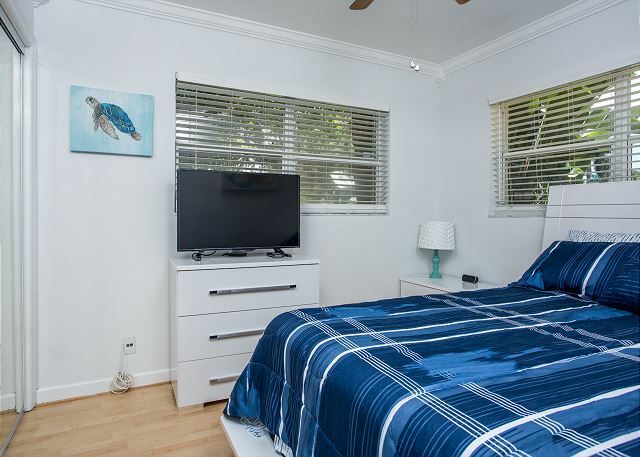 Call Florida Luxury Rentals to book your stay!